Houses & Homes VA: How Quickly Are Homes Selling In Your State? How Quickly Are Homes Selling In Your State? 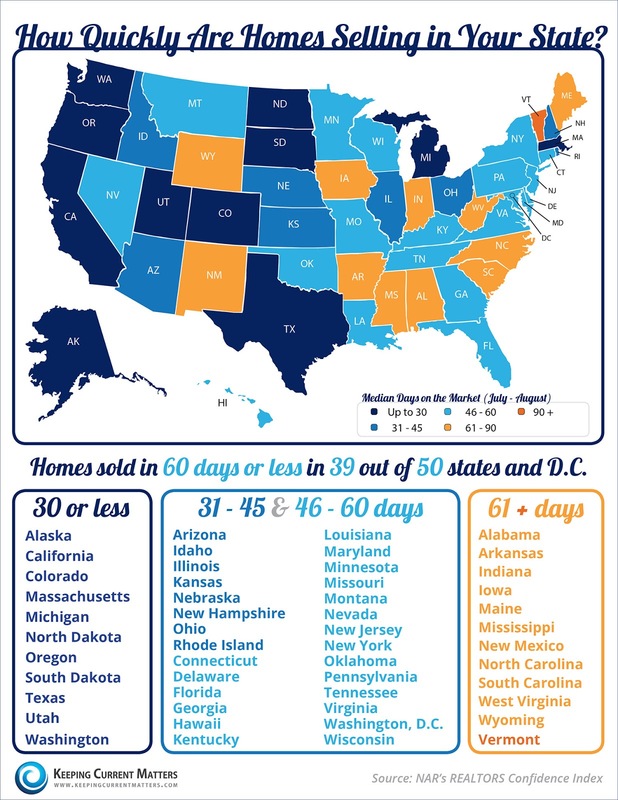 Homes sold in less than 60 days in 39 out of 50 states and Washington D.C.
Only Vermont had a median sold date longer than 90 days.